Mutare, March 26, 2012 - Suspended mayor Brian James said he is still to receive a findings of the probe team that was send by Local Government minister Ignatius Chombo. James said this at an MDC-T meeting held at Chirowakamwe Primary School in Dangamvura. James is the treasurer for MDC-T Manicaland province. “Chombo’s probe team have completed their work but I have not been given a report of their findings but I am confident that they will not be able to substantiate any of the allegations against me,” said James. James said it appears that sections of management and some of the councillors continue to make unfounded accusations against. “I have been an open and diligent mayor and councillor and we have done good work in this city”. I will not let certain individuals tarnish both council’s and my reputation and rubbish the achievements we have made,” said James. James said as councillors they resolved to engage consultants to help formulate a strong and accountable budget, he said they also collectively resolved to engage an independent audit company to audit Pungwe Breweries. A Pungwe brewery is a company that is owned by City of Mutare and it has not been audited since 2009. Council’s 2012 accounts are also to be audited. “Why do management continue to disrupt council’s progress by failing to implement these resolutions, what exactly are they afraid of.” Audits are a prerequisite of all public fund management and will uncover any corruption that may have taken place,” said James. James said he is now publicly challenging fellow councillors through the town clerk to now implement these audits that are essential for good governance and accountable management. The former mayor said people should not be misled that these audits can only be carried out when finances are available yet there is money to buy a vehicle for the town clerk. “Is a US$90 000 vehicle for the town clerk more important than financial audits, public facilities and service delivery,” said James. James said a recent independent labour report conducted for council revealed gross mismanagement within council’s labour structures. He said these are issues that council need to concentrate on as without strong accountable budgets ratepayers will merely be asked for increased rates in the future to pay back a continuing practise of unauthorised expenditure. MUTARE:- The city council here has been advanced a loan of US$1.7 million for the erection of traffic lights in the central business district. The money has been advanced to city council by Investment Development Bank of Zimbabwe. City Engineer Donald Nyatoti told a full council meeting that they have identified 24 intersections in Mutare that need traffic lights. 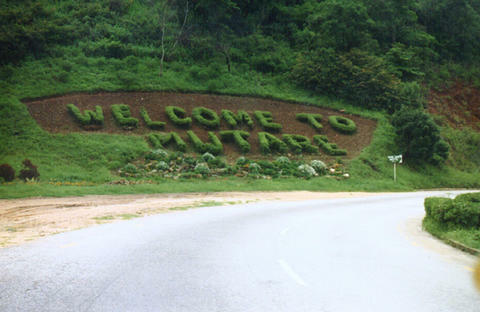 Currently Mutare has only seven intersections that are have traffic lights and only two intersections have functional ones. “We have currently identified intersections that have become dangerous and we will be soon putting traffic lights on these intersections,” said Nyatoti. Special interest councillor Hlanganiso Matangaidze was opposing the channelling of the whole amount to the putting up of traffic light and instead wanted part of the money to buy some refuse trucks so as to improve service delivery in the city. “Traffic light do not generate income, we should also channel this money towards the buying of refuse trucks that bring in money through rates that are paid by residents,” said Matangaidze. Matangaidze’s call was shot down by the majority of MDC-T councillors who said the volume of traffic has increased in the city hence the need for traffic lights at most intersections. “We are lucky that residents have not sued us because a lot of traffic lights are not working and this has contributed to a lot of accidents,” said George Jerrison the acting mayor. The erection of traffic lights will reduce the rate accidents at most intersections in Mutare. A High Court Judge has said Zimbabweans have lost confidence in the judiciary system because of too much backlogs in the courts. Justice Charles Hungwe while officially opening the High Court Circuit in Mutare said the backlog in the courts has caused a lot of Zimbabweans to lose confidence in the judiciary system. “The volumes of matters requiring the attention of superior court judges has resulted in multi-faceted problems which include backlogs and slow delivery of justice to the extent that public confidence in the judiciary process has been significantly reduced, it is in my view time to address this,” said Justice Hungwe. Justice Hungwe said the effectiveness of circuit court is well documented and time has come to throw open for debate for suggestions for the improvement of access to justice for the generality of the population. “The present system has created a never ending spiral of backlog congesting not only the high court but also the magistrate courts and even the lower courts,” he said. Justice Hungwe said the present system was meant to service a particular social and political dispensation. He said after Zimbabwe gained its independence there was no sufficient effort made towards broadening access to justice for the general population except for the lower echelons of the judiciary structure. He said this resulted in improved access to the lower courts only. Justice Hungwe also welcomed a recent move by Alpha Media Holdings of establishing the office of an in-house Ombudsman that will offer dispute resolution to handle complaints against reportages by newspapers in the stable. “This is commendable as it shows initiative regarding practical steps for redress to the public which is a redress that is cost effective in that a complainant does not need to have a deep pocket for his or her complaint to be fairly resolved,” said Justice Hungwe. Justice Hungwe said the High Court circuit in Mutare is filled with murder trials. The opening of the High court circuit was attendant by members in the legal fraternity in Manicaland province. A handful of supporters from excommunicated Anglican Church Bishop Nolbert Kunonga yesterday barred visiting Archbishop of Canterbury Rowan Williams from entering the Anglican Cathedral in Mutare. Williams was on a visit to Manicaland where he met Church of the Province of Central Africa followers who were kicked out from worshipping in the church building because they are aligned to Bishop Chad Gandiya. 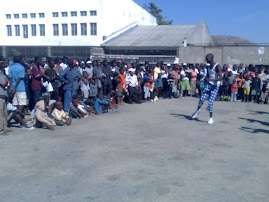 Williams later met about 500 worshippers at Mutare Show Grounds who had come to welcome him to Manicaland. The placard-waving Kunonga supporters were denouncing Williams for allegedly supporting homosexuality in the church. 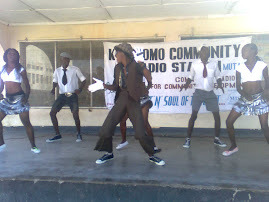 Some of the placards read “Gandiya, Makoni and Bakare how can you invite (a) homosexual on our soil,” “Manicaland Diocese says NO to homosexuality” and “Williams go and read Romans 1 verse 26 and 1 Corinthians 6 verse 9”. “They condone homosexuality and we are saying let’s stand together and say no to that because it’s not biblical,” said Reverand Dean Mwando of the Anglican Cathedral. One of the demonstrators, Virginia Kasipa, said Kunonga followers stood by the Word of God which did not allow homosexuality. “We as Christians stand by the Word of God and these are our principles. Williams supports gay marriages and this is against the Bible. We do not fellowship with such kind of people,” said Kasipa. From the Anglican Cathedral in the city centre Williams visited St Augustine’s Mission School, 20 kilometres north of Mutare, where Kunonga’s supporters had again converged to demonstrate against him. The boom gate at the mission school was locked and Williams and his entourage had to leave their cars outside the gate and proceeded into the school yard on foot. They again were not allowed into the church at the mission. Williams only managed to have a few photos taken outside the church and had a few prayers at the Anglican nuns’ premises. Williams’ entourage included Archbishop Albert Chama, Bishop Julius Makoni, Bishop Trevor Mwamba from Botswana and Bishop Gandiya. The trial in which MDC 99 leader Job Sikhala is facing charges of kidnapping and trespassing in to Chiadzwa diamond fields failed to take off at Mutare Magistrate Court because the regional magistrate Livingtone Chipadza who was supposed to preside over the case is off duty. Sikhala who is representing himself told Kumakomo Community Radio that he was given a new trial date because the magistrate is not available. “I was told to come back next week on 29 September, the trial could not kick off today because the magistrate is attending to some family issues and the prosecutor’s whereabouts are not known, said a disappointed Sikhala. The prosecutor for the case Malvern Musarurwa was also not at the court. Sikhala who is out on a US$500 bail is being charged with kidnapping two men in Chiadzwa after being swindled US$2 500 in a diamond deal. In the other account sikhala is being charged with trespassing after he entered the protected diamond rich area of Marange. When Sikhala last appeared in Court he had applied for the state to drop the charges as they had failed to prosecute him for over six months since he was arrested. He argued that this was a violation of his constitutional rights. Musarurwa had agreed that should the trail fail to commence on September 22 2011 the charges will be dropped before plea. Residents of this eastern border city welcomed the decision taken by the City Council not to sale land at the Meikles Park to Anjin a Chinese Firm that is mining diamonds in Chiadzwa. The Chinese Firm wanted to buy land at Meikles Park which is prime land in the central business district for US$1.6 million and they wanted to build an 18 storey hotel which would also house a supermarket and other shops. Minister of Local Government Rural and Urban planning Dr Ignatius Chombo had ordered Mutare City Council to first give the land to Anjin in exchange for state land that the council would get from the government. Chombo later wanted to buy the prime site for a song and Mutare City Councillors passed a resolution not to sale the land to the Chinese. Residents who spoke to Kumakomo Community Radio applauded Mutare Mayor Brian James and his councillors for taking a bold decision in denying to sale the land to the Chinese. Former city of Mutare ward 11 councillor and Mutare businessman Edwin Mauppa said Chombo should stop interfering with councils in the country. “Chombo can’t continue doing whatever he wants with council that were elected by the people, giving that land to the Chinese was tantamount to empowering the Chinese at the expense of the indigenous business people,” fumed Mauppa. Victor Munemo another Mutare resident who runs a clothing shop in town said giving the land to the Chinese would have set a bad precedent among city councils across the country. 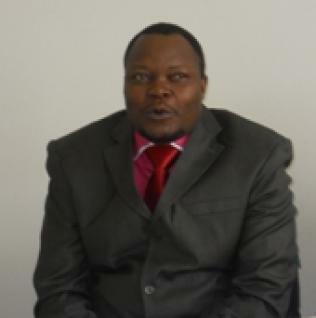 “I applaud our city councillors for remaining steadfast on matters of principle, this would have set a bad precedent amongst councils across the country, I hope council will manage to sell the land to prospective investors at the right amount,” said Munemo. “Mutare city councillors took a very wise decision of not exchanging prime land or even selling it at an inflated price that was going to benefit the Chinese in the long run, we should be careful with these Chinese as very soon they will colonise us,” said Magada. Whilst others where applauding the local authority for the stance they took Mellissa Mukoyi thinks the Chinese firm should have been given the land, because they want to develop the land that has been lying idle for so many years. “This land has been not in use for so ever since I was born and if an investor comes wanting to develop it they should give it to them, it’s not like they (Chinese) were going to get the land for free, there was an exchange with state land which council in turn was going to make use of by selling it as residential stands and get revenue,” said Mukoyi. In Praise of Media Self Regulation. A very significant debate on media self regulation has recently emerged in the United Kingdom and in media related professions across the world. The main reason for this is the phone hacking scandal of one of the UK’s leading private publications, News of the World. This scandal has since led the publication’s proprietors, on their own volition, to shut it down altogether. In the wake of these unfortunate developments, the Cameroon government, the Labour opposition, professional journalists and media related organizations have roundly criticized the media self regulatory body, the Press Complaints Commission (PCC) for failing to deal firmly with the unethical conduct of the now closed weekly. This is a debate that has since gone beyond the borders of the UK to countries such as the United States of America and Australia, among others, where the News of the World’s owner, Mr. Rupert Murdoch, has significant ownership of television and print media. In Zimbabwe the thread has been picked up by some of our local papers and commentators and I am sure the debate has also been noted by those in policy making positions, either by way of Government, Constitutional Commissions or Parliament. It is also a debate that the Voluntary Media Council of Zimbabwe (VMCZ) has keenly followed, particularly after the VMCZ Chairperson and other members of the Board were invited to make presentations before the Parliamentary Portfolio Committee on Information, Media and Publicity in the first week of July 2011. It is from the submissions made by the VMCZ Chairperson, Mr. Muchadehama to the Parliamentary Committee that I put up my own perspective on the democratic importance of self regulation of the media in Zimbabwe, notwithstanding the outcome of the debate on the same in the UK or elsewhere. The premise of self regulation of the media across the world has been the recognition of the right to freedom of expression and access to information that is enshrined in Article 19 of the Universal Declaration of Human Rights and closer home, in Article 9 of the African Charter on Human and Peoples Rights. This right is further fortified in our current constitution in Section 20 of the Bill of Rights which states that every Zimbabwean shall have the right to receive and impart information without interference. Self regulation of the media, in seeking to promote the full enjoyment of the right to freedom of expression by citizens through professional, accountable, ethical, fair and balanced reporting as well as voluntary codes of conduct for media practitioners, does not negate from the media’s responsibility of what is in the public interest or the promotion of democratic practice or culture. In fact it reinforces this through promoting a culture of consensus between the media stakeholders and the public on best democratic practice and understanding of democratically justifiable and publicly accountable reporting. Self regulation avoids the spectre of prison for anyone who says, writes, broadcasts or prints opinions in pursuit of their enjoyment of their right, as well as that of others, to freedom of expression and access to information. Where there is a false, unfair or unethical report in the media, voluntary self regulatory media councils establish complaints mechanisms that seek to acquire resolution to complaints about the conduct of the media via consensus, apology, retraction and avoidance of costly legal suits. As the late national hero, Honourable Member of Parliament and former Chairman of the Parliamentary Legal Committee, Mr. Eddison Zvobgo once opined while delivering an adverse report during the third reading of the Access to Information and Protection of Privacy Act (AIPPA) which introduced statutory regulation in 2002, allowing the state to undertake such actions would be tantamount licensing it’s own people to ‘speak’ and therefore in violation of Section 20 of our constitution. Since AIPPA became law and regardless of the various negotiated amendments by our politicians to it, it has continued the clearly undemocratic practice of seeking to register all of us to be licensed to speak and where we do so without the requisite clearance, we get arrested. It is exactly because the media, which is the primary target of AIPPA, remains the main medium through which Zimbabwean citizens seek or attempt to speak truth to power in the interests of the public good and democratic values that politicians, as yielders of power, seek to gag the press. The current circumstances prevailing in our country wherein those in power, who should be monitored in their exercise of power, are the ones determining which media houses they will permit to publish in a carrot and stick fashion (with the stick the one that is more liberally used), are patently undemocratic and inimical to the exercise of our right to freedom of expression and access to information. Further to this, the Minister of Media Information and Publicity, Mr. Webster Shamu has been quoted as saying that journalists must understand media freedom to be a privilege and not a right. Such a statement can only be described as unfortunate because it betrays an underlying but mistaken assumption that freedom of expression is only enjoyed at the behest of the governments of the day. Because of this in most instances, government officials and influential members of the public have always found it convenient to seek the arrest of journalists and editors with alarming levels of impunity. Even those that are tasked with executing the arbitrary arrests of journalists appear to consider it ‘normal’ to do so. What is happening with the Press Complaints Commission in the UK provides important lessons to Zimbabwean media stakeholders, policy makers. The first lesson being that it does not demonstrate anything wrong with media self regulation as democratic practice and principle. It merely demonstrates an aberration in a society where it is generally not expected that journalists can be so unethical. The second and even more important lesson is that the media in the United Kingdom are not the same media in Zimbabwe. And that the Zimbabwean media has committed itself to self regulation does not mean it will go the same route as that of the most likely changes that are going to happen to the Press Complaints Committee in the UK. Given our country’s repressive media history, it is imperative that self regulation be carried through in fulfillment of the broad commitment that all Zimbabweans have in enjoying the right to say their opinion and to defend to the hilt the right of the other to do the same. Zhangazha is the Executive Director of the VMCZ. He can be contacted on director@vmcz.co.zw; Facebook Username: TakuraZ. 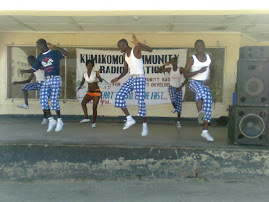 Welcome to KFM, Mutare's own community radio station.